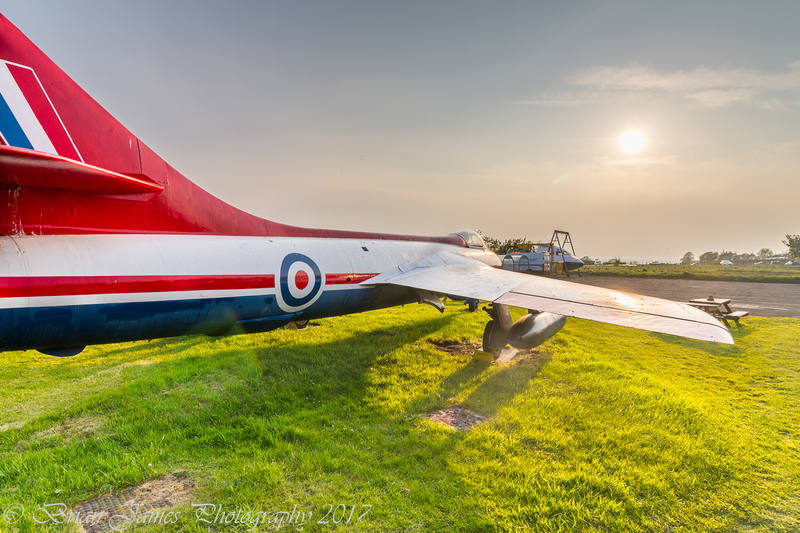 photograph the aircraft on a sunny but cold evening trying out HDR photography. Well I must be Plane Crazy as I have decided to do the same thing again. I didn’t shoot all of the aircraft last time (and I have still missed a helicopter and the cockpit sections out) so I decided to concentrate on the others this time. 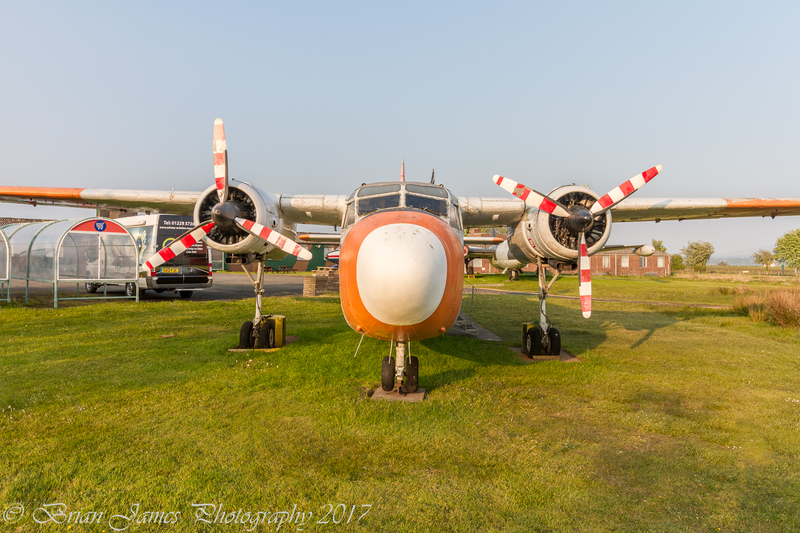 Now I must say that the Solway Aviation Museum does an excellent job of looking after these old timers and on a very limited budget. 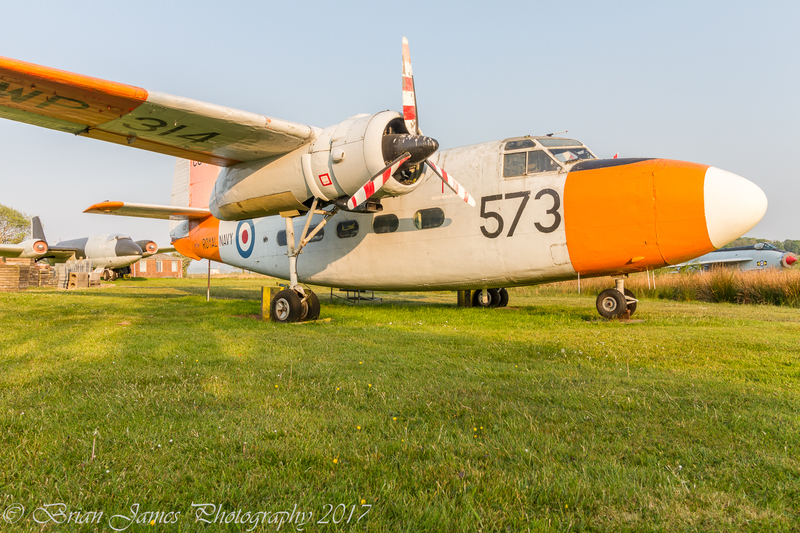 It is a museum which is well worth a visit as not only does it have these magnificent static aircraft but also a great little indoor museum and café too. Perhaps more important to me as an ex RAF man who served at Spadeadam, the home of the UK space program in the 50’s & 60’s is the superb little area dealing with the Blue Streak rocket/ICBM which was designed, developed and built only 15 miles away from the museum at the Spadeadam base. 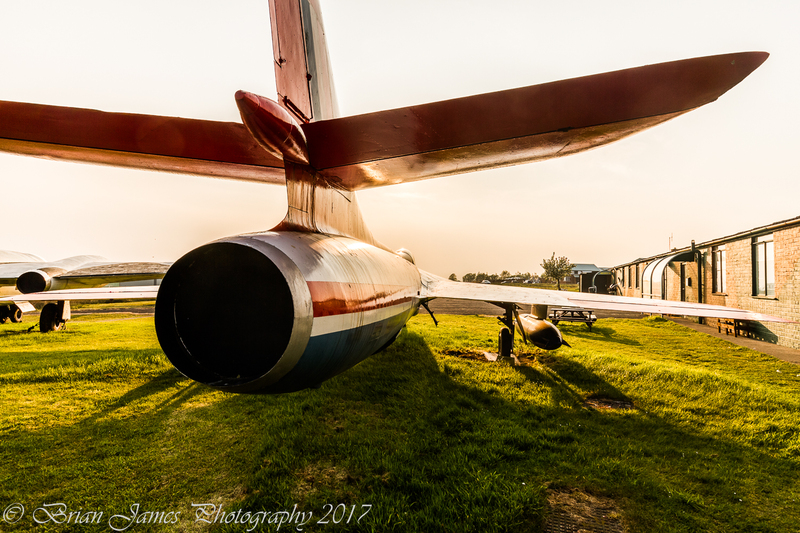 Many of the exhibits are from foreign sources such as the Lightning F53 which was delivered to both Saudi Arabia and Kuwait and the F51 Hunter which is ex Royal Danish Air Force which makes them even more rare over here in the UK. 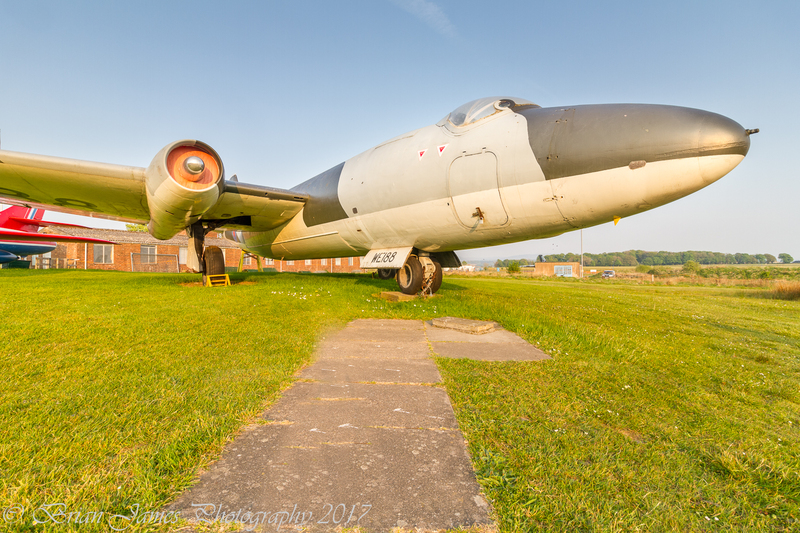 Again I have been using my wonderful little Canon 10-18mm STM lens. I really do love the distortion of the perspective. although I do have to do some work in “lightroom” to remove the vignette at its wider focal lengths. Once again I have played with boosting the colours and contrast beyond that of a “normal” photograph. To be honest, I’m bored with accurate photos and really wanting something which ‘pleases’ my eye. 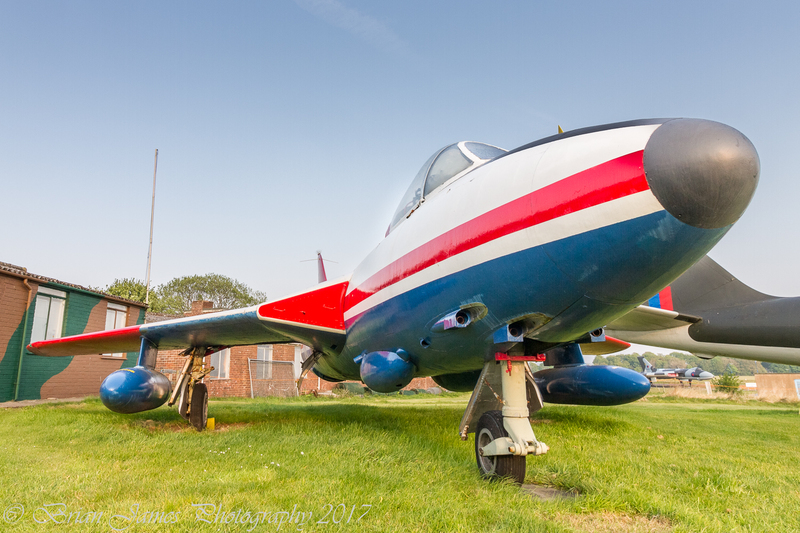 The colours on these aircraft are often vibrant with the Da-Glo orange of the Sea Prince and the striking red on the Hunter which had been used as a testbed aircraft in its final flying days. I also wanted to use this lens to really show the size of some of these aircraft. The Vulcan B2 (above) is massive with a huge delta wing of monumental proportions, yet it handled like a fighter. 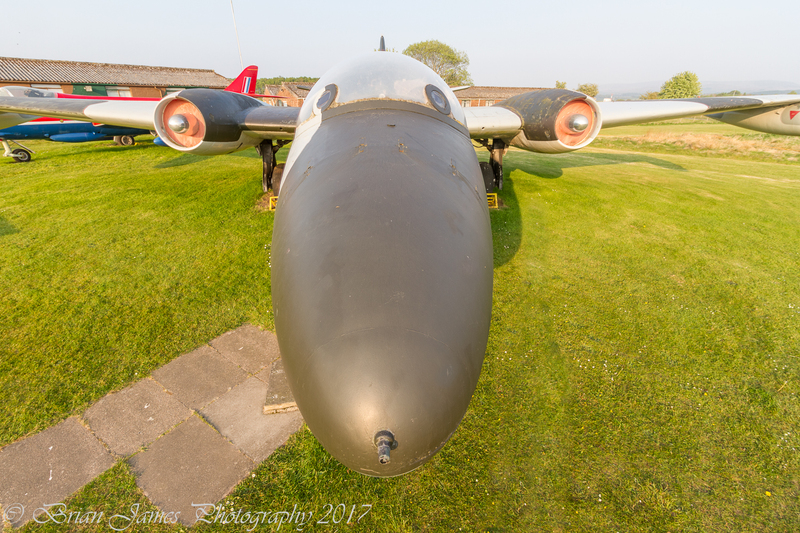 The Canberra was a much smaller aircraft but again using the 10mm lens exaggerates the bulbous nose and give a menacing appearance. It is true that the aircraft are not gleaming examples of their marque but considering that they are outside 365 days a year in all weathers the crew do a marvellous job of preservation. 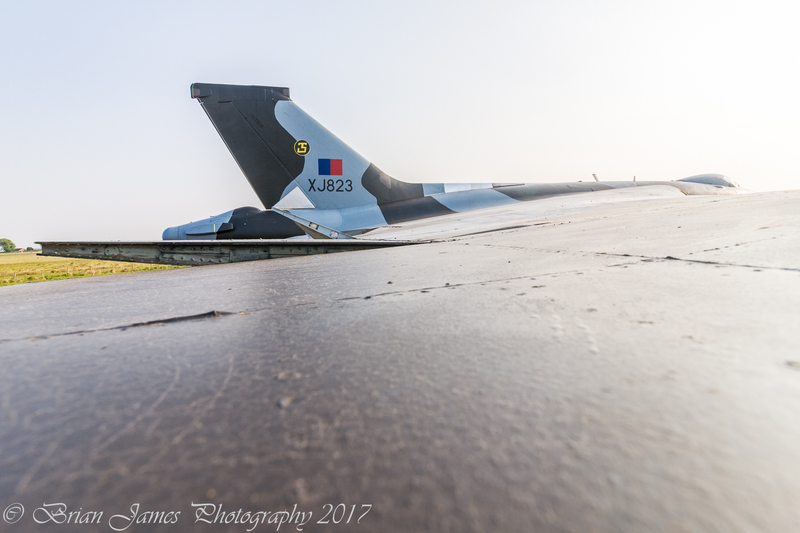 Just look at the side on shot of the Vulcan below and you can see the standard of the work by looking at the recently refurbished undercarriage and wheels. 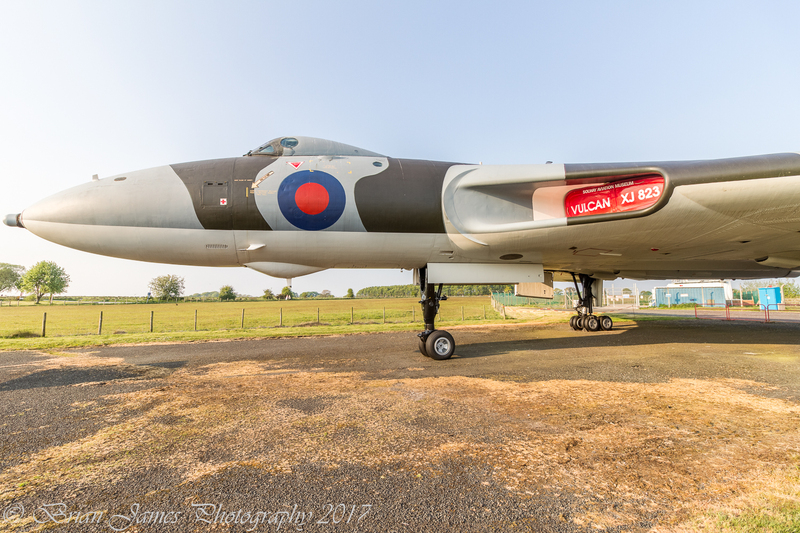 I talked with one of the committee of the museum a couple of years ago and he let me into a few details of how much it costs to “slap a coat of paint’ on one of these airframes and it runs into the thousands along with hundreds of hours of preparation and costs for scaffolding etc. I have had so much fun taking these photos this last two weeks, especially tonight as it was considerably warmer than last time. You could have as much fun too, just pop out to Carlisle Airport. And it really is not expensive to visit only a few quid and superb value. You can even get into the, very cramped, cockpit of the Vulcan bomber along with the Canberra and the Sea Prince. I have really enjoyed my photography too. Its almost reminiscent of the old film days when you do HDR. Yes, you can see the shots on the screen of the camera, you can see them bigger when you load them into your computer but the magic appears when you create the final HDR picture. Just like the eager anticipation of the results from a film camera when you finally develop that first full size print, the first time you see if your efforts have been successful. It is also nice to work to my own brief rather than that given by a client. Its fun to have the freedom to experiment and, yes, even make mistakes. So until next time, keep shooting. Never been thee so far but will go soon . Thanks Brian.